We offer a diverse range of products including feed, through our two core divisions, Agricultural Supplies and Specialist Retail. Wynnstay are a major supplier of feeds and nutrition products for all species of livestock in Wales, the Borders, and Midlands counties extending south to the M4 corridor. Feed sales in excess of 300,000 tonnes of compound and blended feeds are supplied from five locations. Our nutrition technologies suit the specific needs of our diverse array of customers and we offer the scope and creativity to serve the unique needs of each customer. We can demonstrate a documented, systematic quality assurance programme, which includes UFAS accredited plants. We purchase many home-grown ingredients and as such, remain a large user of locally grown cereals and pulses. 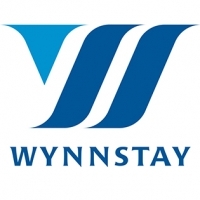 The Wynnstay feed sales team ensures all customer needs are met efficiently and offer professional farm advice on balancing your home grown feeds. Our technical support team has access to the most modern tools available helping customers manage their business and target high productivity responses from their investment in our feeds. Wynnstay Feeds are built on proud traditions of superior performance and as we expand into new areas those same values of pride in performance will continue to be the hallmark of the Wynnstay people and products. Wynnstay Feeds - better equipped to help you meet your goals.